Arthur Askey mystery comedy chock full of “ooh, where’s-me-washboard”-isms and other minor irritations but a couple of witty lines too. It is a requirement when writing about “The Ghost Train” that one mentions it was based on a play by Arnold Ridley – Private Godfrey in “Dad’s Army“. With that fulfilled, we can move on. 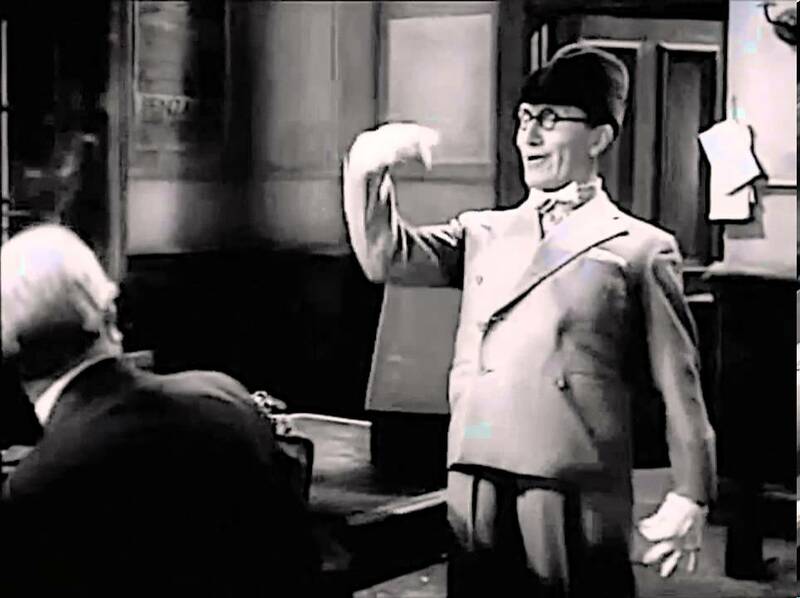 It’s 1941, and chirpy yet irritating comedian Tommy Gander (Askey) makes a train late by pulling the communication cord in order to retrieve his hat lost on the line. The delay means the train gets stuck overnight at Fal Vale station in Cornwall. There follows a series of creepy station masters, dead or not dead people, and people who are not who they claim to be. Oh, and fifth columnists. All that from sweet old Private Godfrey’s mind. Damn, done it again. Not supposed to mention him. The stranded travellers include a dotty spinster with a parrot, a couple a day away from getting married who are more scared about what the bride-to-be’s mother will think of their first night together out of wedlock, an elderly doctor with a drink problem, and a young “chap” who competes with Tommy over the affections of the attractive Jackie Winthrop, who is protected by her short-tempered brother. Thunderstorms, ghosts and other low-key scares unsettle the band and slowly advance the plot, culminating in a model train crashing. As a vehicle for Askey, the mostly one-set locale gives him ample time to demonstrate his irritating brand of comedy, which must have been just as annoying 72 years ago as it is today – stepping over imaginary bodies, endless silly voices and smirks then parading around in a very unpleasant leotard all combine to make you want to punch him. It’s an interesting film, however, as a period piece and also when one bears in mind that the Askey version is the third film version based on Ridley’s play and the second to be directed by Walter Forde, who had shot a version a decade previously. Its premise seems to have an enduring appeal, since it was made again in 1976 in Danish, while a new English version is apparently in the works.